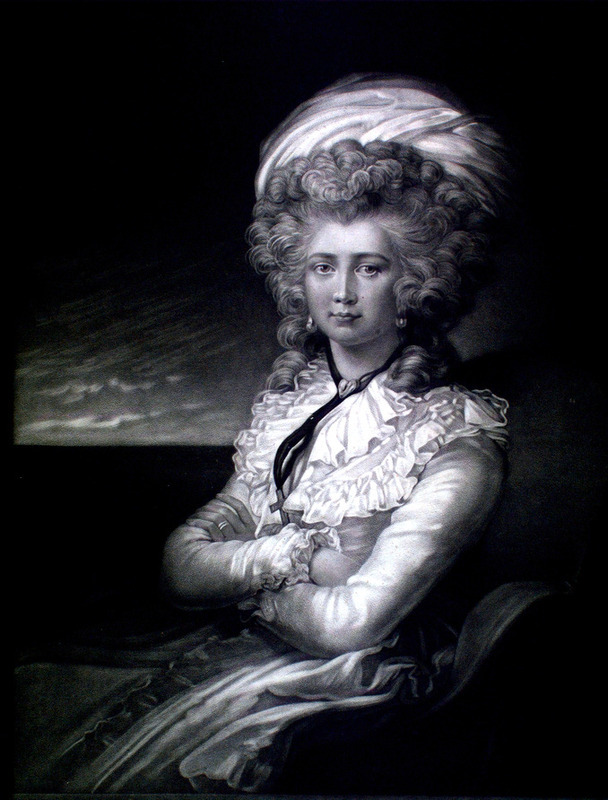 Maria Cosway, neé Hadfield, was an Englishwoman born in Italy. She grew up there in Florence and came forever under the spell of the Italian environment. She trained early as an artist, studying both in Italy and England, and exhibited frequently at the Royal Academy in London. Sir Joshua Reynolds and Angelica Kaufmann, both academicians, admired her work. Maria Cosway met Angelica Church in London sometime before 1787 when Maria writes of their close friendship in a letter to Jefferson. Maria and her husband, Richard Cosway, were both painters; he was a member of the Royal Academy and a painter to the King. Maria's social circle included Angelica, whose husband became a member of the British Parliament after the war. Both women shared a love of France and often met when traveling in Paris. 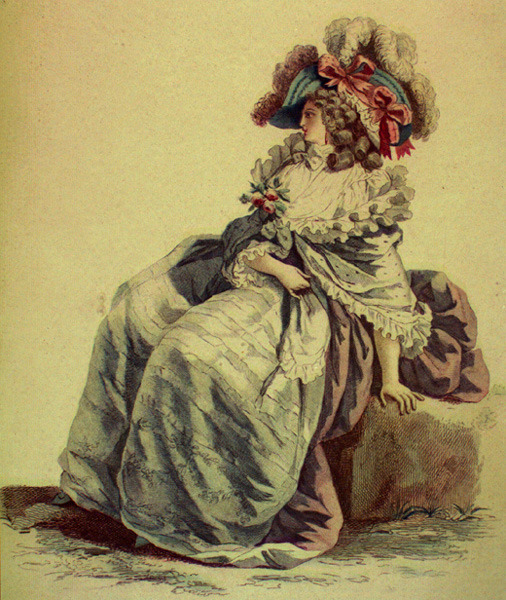 Maria spent an extended visit of several years in Paris after the birth of her daughter in which she renewed her aquaintance with notables of the French art scene. Her friendship with Jacques-Louis David, then a member of the Committee of Public Safety and friend of Marat, caused her to be linked with Jacobin sympathies in the British press. It also may have aided her return to England in the midst of the Terror. Maria was a devout Catholic and, following the death of her young daughter and her experiences in Paris in 1793/94, she chose to retire to a secluded life in a convent school she founded in England. She continued to paint and ended her days in a convent in Lodi, Italy where she died in 1838. Poems by Helen Maria Williams. 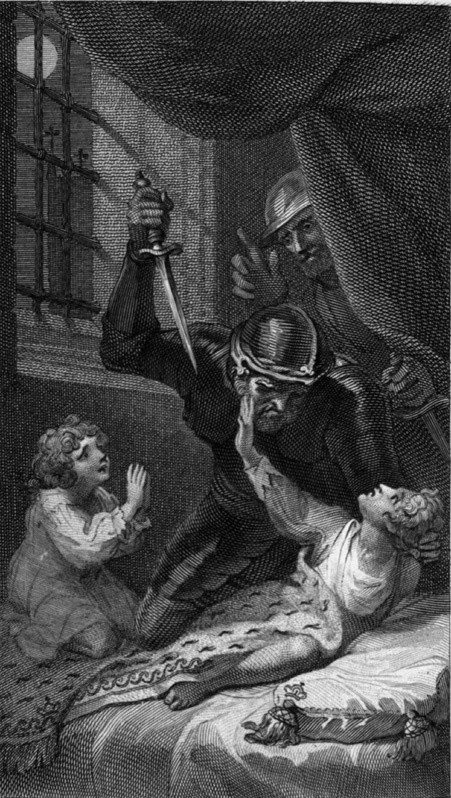 Maria often illustrated the books of friends. The writing of poetry and the illustration of such volumes was appropriate to the status of women painters in the eighteenth century. They were not invited to enter the realm of history painting. This detail comes from a Watteau painting. His vignettes and sketches revealed the delicate mixture of aristocratic leisure and refined elegance which characterized eighteenth century soirées and the Paris social scene familar to Angelica's circle. from The Wintry Day by Perdita Robinson. 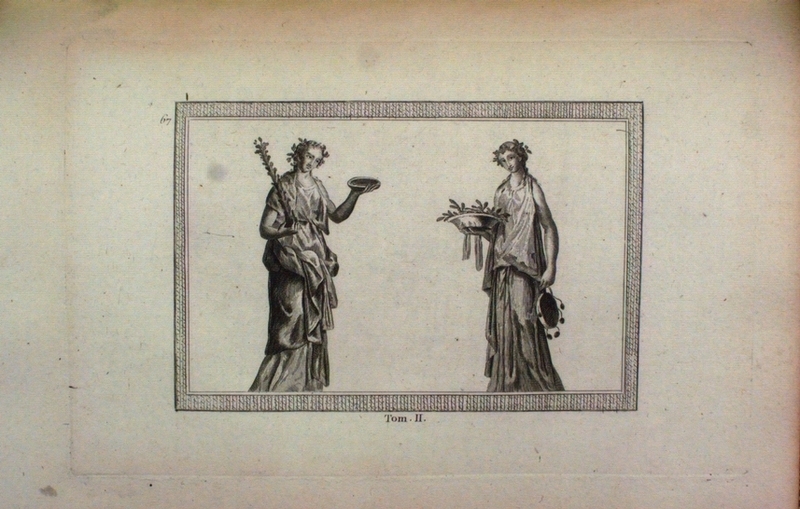 Maria executed twelve drawings for this book, which was an effort to improve her friend's impoverished state. 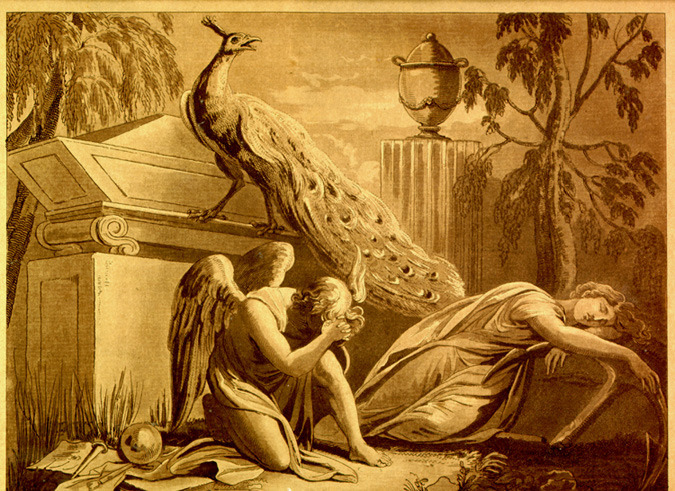 Maria's classical training led her to such Roman references as the peacock, a resurrection symbol, and the urn. The symbols in the drawing may have had special meaning for her, since her own daughter was entombed in a little sarcophagus which her husband kept in his house. Excavations began at Herculaneum in 1747 and reproductions of the paintings became very popular as models in the decoration of 18th century drawing rooms. 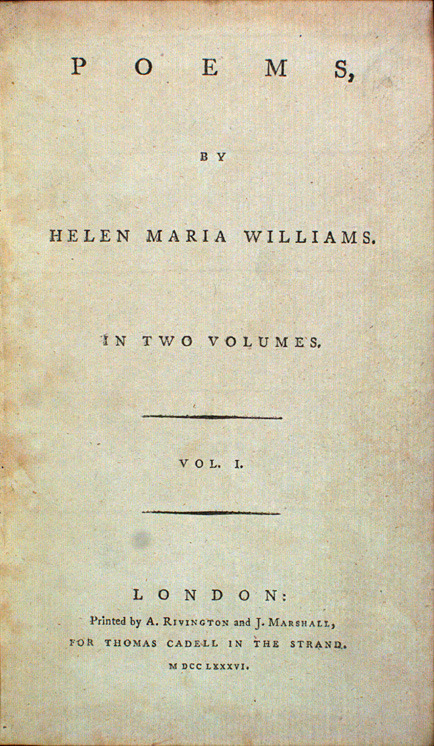 The volume exhibited is part of a first edition set, although not that owned by Mr. Jefferson.